Every year spring comes around all too fast. One day it’s wet windy and cold, the next, buds are bursting and magpies are warbling. Every year I promise myself I will be ready for it, completing all the jobs that will make my garden look extra gorgeous throughout spring. I always run out of time, but the garden is forgiving and even if you have only five minutes in the garden per day it will make a difference. Hang yellow sticky bug traps in the vegie garden. These small plastic strips are a very effective way of controlling whitefly and thrips. These insects are attracted to the colour yellow and are causing damage to plants at this time of the year. Sticky traps stay sticky in wet weather and are replaced when about 80% of the total area is covered with insects. Prune Hibiscus over the next few weeks as the weather warms up. As they shoot away nip the tips out to encourage bushy growth. Fertilise with controlled release fertiliser for flowering plants such as PowerFeed Controlled Release Plant Food for Flowers, Fruit and Citrus. 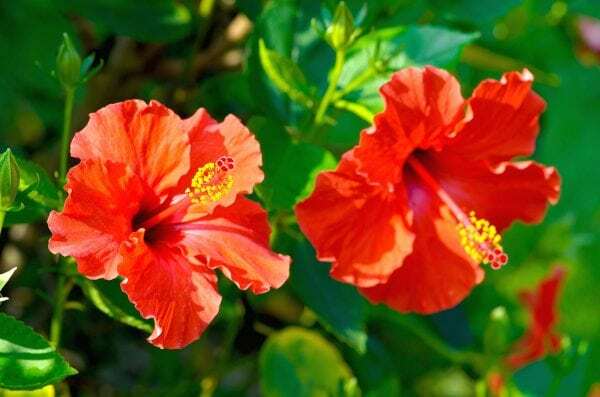 Hibiscus will perform brilliantly in large pots and flower for months in a hot sunny position. 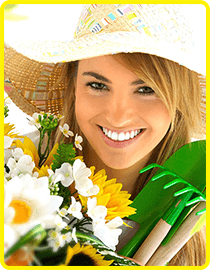 Feed bulbs that have finished flowering for quality flowers next year. At the moment they are developing the embryo for next year’s flowering. Wash the dust off indoor plants and apply white oil to the foliage. Not only will it kill the scale insects, it will give the leaves a gorgeous gloss. In frost susceptible areas cover plants at night with shade cloth, if large or an upturned pot, if small. Small vegie seedlings will benefit from being covered. Damage from a heavy frost can take months for the plant to recover. Take advantage of the September rains and apply organic based fertilisers around the whole garden. They gradually release their nutrients over a period of a few months and reduce chance of nutrients leaching into our waterways. It is also much better for the health of your plants. Grab the secateurs or hedge shears. 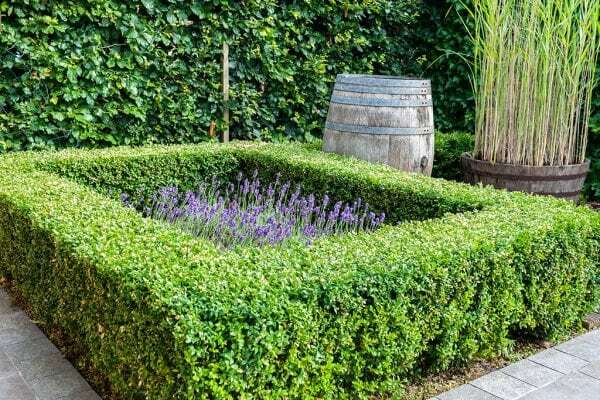 Plants are actively growing and hedges such as Box, Rosemary and Lily Pily can be trimmed as they develop their soft new growth. A very light prune now and then again in October will ensure they will stay bushy right through the year. Feed the lawn to kick start it out of winter dormancy and get it to green up quickly. Try Seasol for Lush Green Lawns or Seasol for Buffalo Lawns. Simply attach to your hose and off you go. Each 2 litre hose-on container treats up to 100 square metres of lawn. Treat the garden with a wetting agent before it starts to warm up to conserve as much water as possible in the soil. Soil can become water repellent very easily. The sound of running water adds an additional element to the garden. It is also a ‘go to’ for the local fauna including the resident birds and frogs. As the weather warms up algae growth is common. Algae growth in ponds is a sign that the pond is out of balance with nutrients, sunlight and oxygen. Some algae growth in ponds is completely normal, but when it takes over it will cause a problem. It’s the time to get on top of it before it gets out of control. 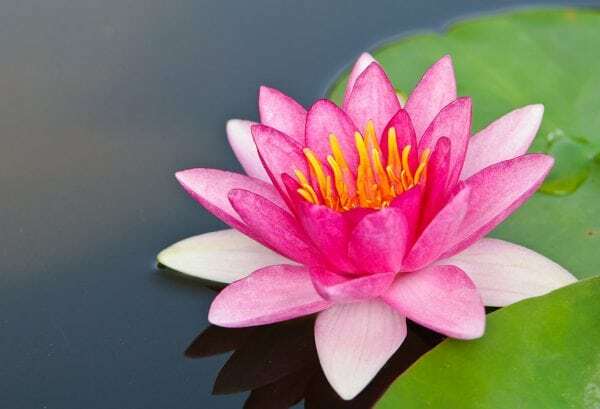 Reassess the water plants in the pond – do they need repotting, splitting or trimming? An increase in composting foliage could be increasing the nutrient level of the water and result in algal growth. The addition of barley straw in the pond is an effective algae control. The harmless bacterium that grows on the barley straw effectively inhibits the growth of algae cells. Reducing the number of fish in the pond will also reduce the nutrient build up in the water. Split up waterlilies this month. Even though pond water is cold, the waterlilies are starting to wake up. The hardy varieties will still have leaves from last season, while the tropical varieties will be completely dormant. If they are overcrowded it’s a great idea to repot. All water plants can be fed with controlled release fertiliser tablets specially formulated for ponds. 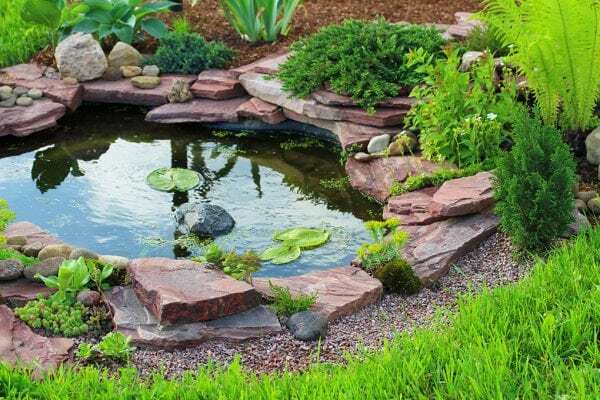 The addition of rocks or gravel on the top of the pot will ensure that the fish (especially if you have Koi) will not uproot the newly potted plants. Don’t over water these tough hardy plants is the key to their success. 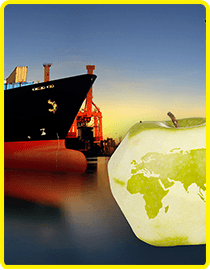 All over the world plant breeders have risen to the challenge of producing plants of outstanding quality and incredible interest. Succulents are the perfect choice, not only do they look good they thrive on minimal care. 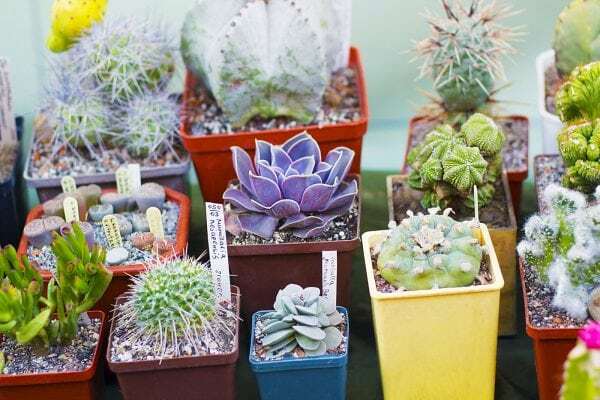 Succulents are the group of plants that save water for dryer times in their leaves, stems or roots and have adapted different ways to surviving harsh conditions. One of these features is prominent in all succulents. Succulents that store moisture in their leaves have evolved different ways to reduce water loss. Crassulas have a wax like skin, some varieties have small evaporation areas and others form rosettes trapping any available moisture so it runs down to the base of the plant. Others reduce the amount of exposure to the sun, by clumping foliage close together. Stem succulents reduce the loss of moisture through evaporation with non-existent leaves and the photosynthesis process happens through stems. Some stems have a series of fine hairs to trap moisture within itself. Root succulents store moisture underground and this further decreases the exposure to heat and reduces moisture loss. The soil needs to dry out between waterings, they hate being waterlogged. If planted in pots ensure the drainage holes are not blocked. Lift pots up off the ground so the water goes straight through the soil (one of the only times we want this to happen) and don’t put a saucer under the pot as they can rot very easily. Understand if the variety is one that will tolerate full sun or does it require a part shaded position. Fertilise with controlled release fertiliser at the beginning of every season with PowerFeed Controlled Release Plant Food All Purpose including Natives. 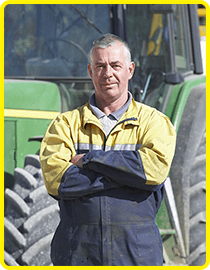 Or liquid feed with Seasol (20mL per 9 litres of water) and PowerFeed (20mL per 9 litres of water) every 2 to 4 weeks during spring, summer and autumn and once a month or so during winter. Always pot up with a specialist Cacti and Succulent potting mix.